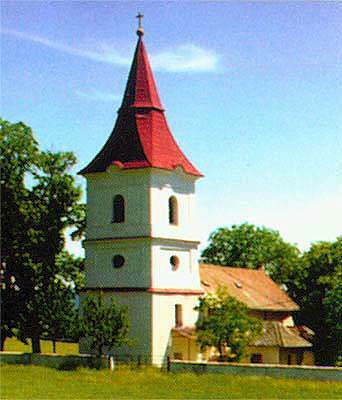 The village of Pribelce is located in the south-central part of Slovakia, in the Velky Krtis region. It lies in a graceful enviroment where the lowlands of Ipel and the hills of Krupina meet. The village has a population of only 598, and all of them are of Slovak nationality. The first written reference about Pribelce dates back to 1244, and this year the town will celebrate its 756th anniversary. 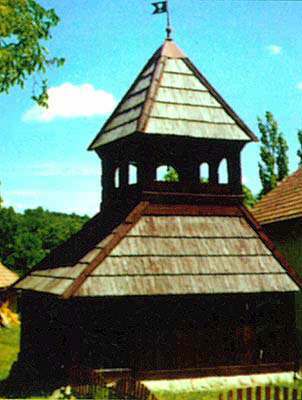 In the village there are several cultural structures that are freely available to see, such as Ludovy dom (house of national traditions) and mansion. Pribelce is surrounded by forests with protected natural areas, such as Kamenna zena (Stone Woman) and the growth of Jasena trees. There are also self-guiding and educational foot trails suitable for easy hiking. It is also permitted to pick mushrooms and fruits (with the exception of flowers) in the forest. In the northern part of Pribelce, there are also sand mines where a rare discovery of sharks teeth have been found. 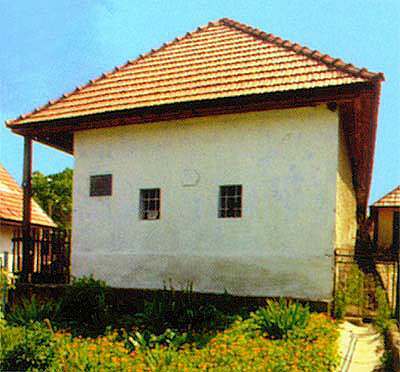 In Pribelce, there have been special honourable people such as Janko Kral (poet), Jan Rotarides, Villam Pauliny Toth, and Jan Caplovic (poet and ethnographer). 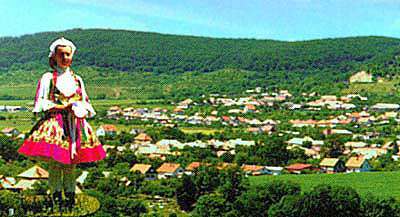 Pribelce belongs to one of the oldest villages in the Velky Krtis region. Visitors can find accomodations in the vicinity of Pribelce, near the area of the Shooting Gallery with 76 beds available and in the neighbouring village of Cebovce in the "Frankovka's" motel. It has endless possibilities of hiking, rifle shooting and hunting in designated hunting grounds in the area of Pribelce. 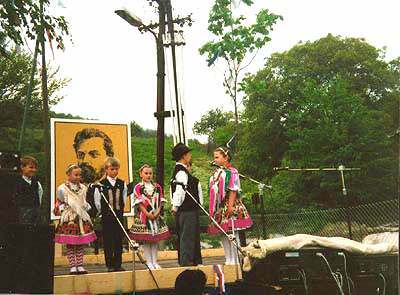 There are various memorial celebrations that take place in Pribelce, such as the commemoration of Janko Kral which is celebrated at the local Slovak Cultural Society branch and there are also several folklore events that perform there as well, such as the "Krocik" folklore for children and the "Bazalicka" folklore for adults. 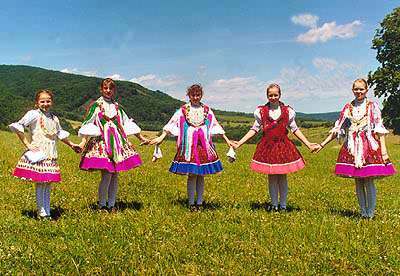 These folklore groups are well known for exhibiting their performance at many folklore competitions in other towns such as Detva and Vychodna, as well as other countries such as Rumania and Hungary.